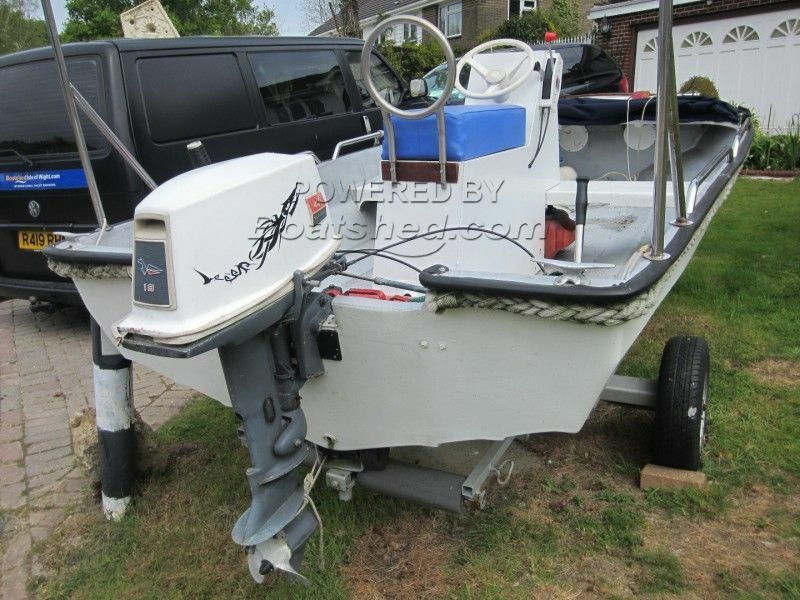 This is a solid looking dory style hull which looks like she should make a stable inshore angling or diving boat with plenty of space and an older but perfectly serviceable 18hp outboard. Complete with a canvas cuddy to keep out any weather she is equipped with everything you would need to just go and have some fun! This One-Off Dory Style Open Runabout has been personally photographed and viewed by Corinne Gillard of Boatshed IOW. Click here for contact details.